A Bit of Sass: Holly Dyment Fine Jewelry & The Great Gatsby! Holly Dyment Fine Jewelry & The Great Gatsby! A couple days ago I posted about the fabulous Wallis event I went to New York for last week (see here), but I also wanted to share a couple more things from my time away from the blogosphere. 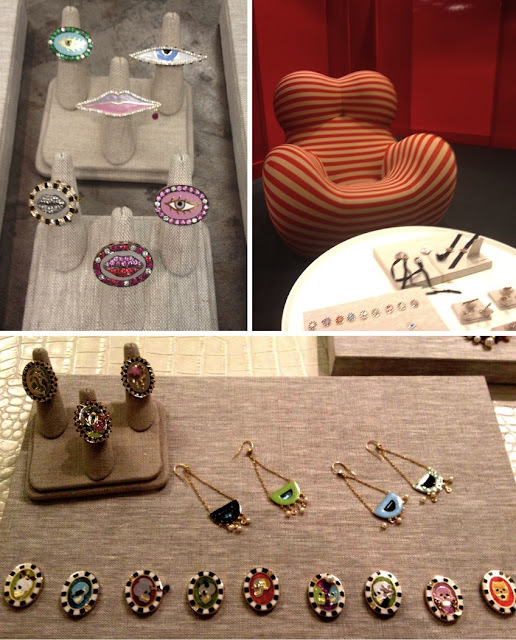 #1 - Holly Dyment Fine Jewelry: Prepare to be obsessed! 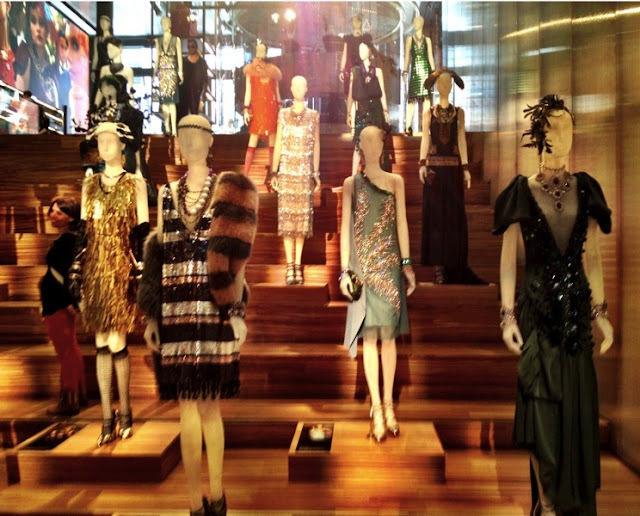 #2- The Great Gatsby exhibit at Prada: A little piece of me fainted when I walked into the store. 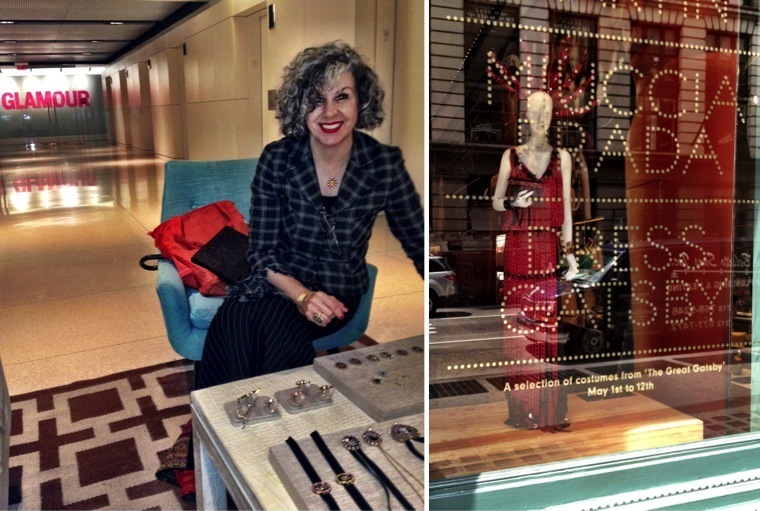 While in New York I had the pleasure of meeting up-and-coming fine jewelry designer, Holly Dyment, and accompanying her to meetings at various fashion magazines. I have to say, the editors went crazy over her things, so expect to see them on the pages of your favorite glossies and adorning celebrity style stars in the near future. Each of Holly's pieces is like a small work of art meant for fearless fashionistas and punk rock princesses. As a former interior designer, she has a penchant for color and a natural eye for aesthetics. In addition to showcasing her 'Days of the Week' rings which feature an amazing array of skulls, she introduced her new astrological inspired pieces. In addition to "work," I was lucky enough to have some time Friday to spend with one of the designers of Wallis walking around SoHo. While there we visited the Dress Gatsby exhibit at the Prada store, and both of our minds were blown. Have any of you seen the movie yet? It is on my agenda for this weekend and I can't wait! Each costume was so magnificently detailed and true to the character it was meant for. 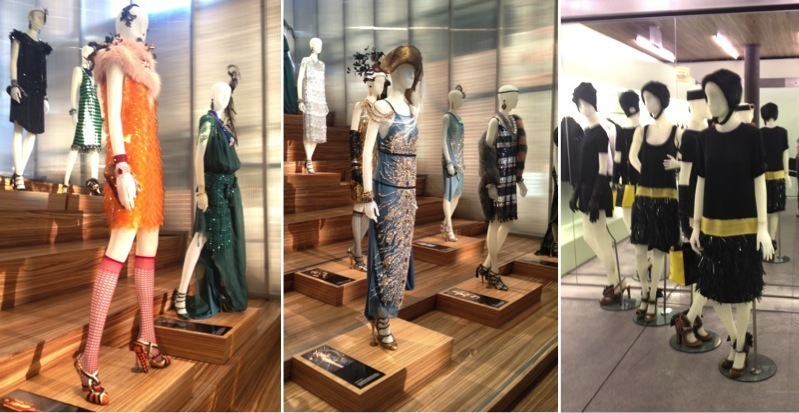 Prada also showcased jewelry and a capsule collection of Prada pieces from the past that have a Great Gatsby feel. In the words of Rachel Zoe, "I Died". Have a look at more of Prada's Great Gatsby exhibit here. Oh wow, that is so amazing. I am loving those rings. The inspiration is wonderful! Super gorgeous.Loving those skull rings too. I wish I was in New york! Love all those Gatsby dresses! The costumes are incredible!! I can't wait to see the movie! Oh I wish I were there. The GReat Gatsby is one of my all time favorite books and era.